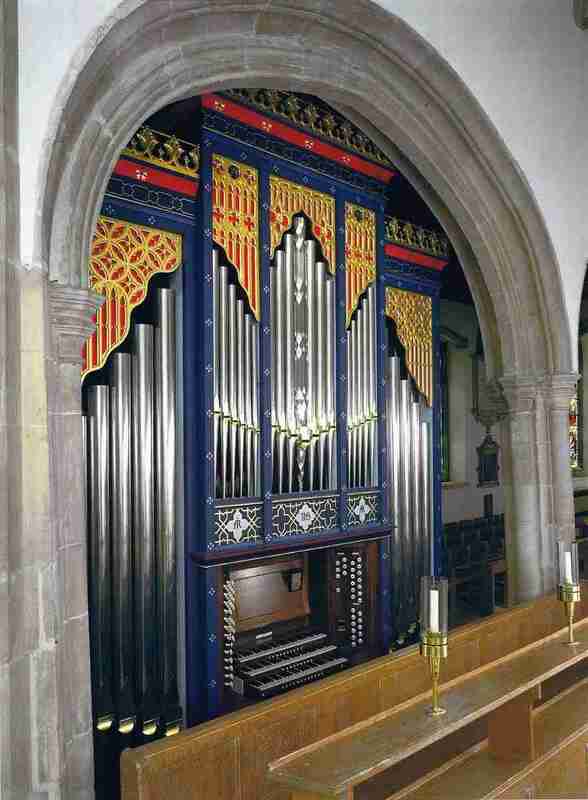 For choir accompaniment and also for smaller congregations a second organ has been built in the East end of Chelmsford Cathedral, from which much of the main organ is playable for the accompaniment of congregational singing in larger services utilising electric action. The key and pedal actions of the Chancel Organ itself are of course mechanical, the drawstop action being electric with a full complement of registrational aids. The new casework is also to a design of our own. Shortly before the organ was ordered, an instrument from a redundant church in Cambridge, St. Andrew the Great became available.